High-quality weld overlaying and hard-facing service. Many new manufactured components may need areas that require better wear characteristics than the main part of the component, this is where overlaying or hard facing of the area with an alternative material can be a benefit. By using a harder or tougher material than the original component this can make it more effective then to make the whole unit from the ‘tougher’ material where it would be cost prohibitive. Alloys commonly utilized include Cobalt-based (STELLITE® or STELLOY® 1, 6, 12, 21,) and Nickel-based INCONEL® 625, although other alloys are available. 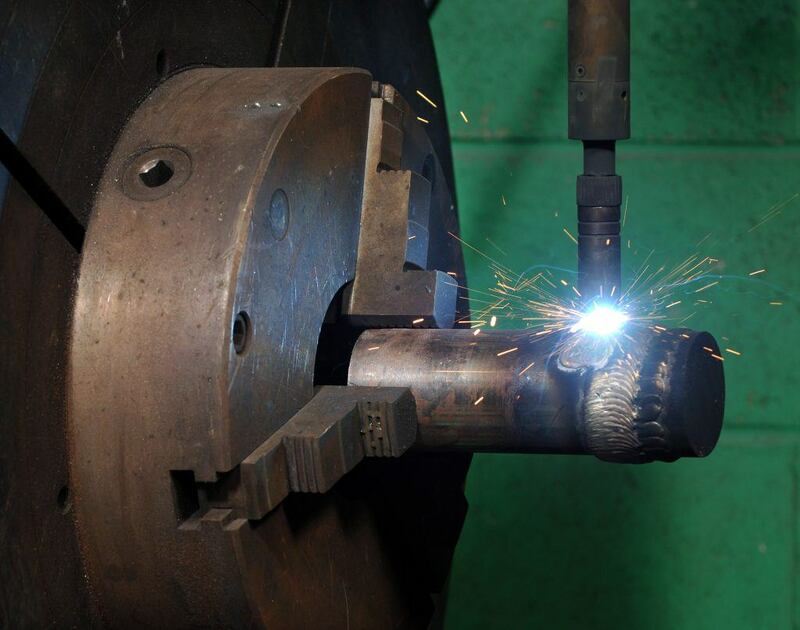 Bentham & Holroyd are Lloyds certified to ASME IX, and NORSOK for welding onto Stainless steel, Duplex materials, bar or castings, using TIG & MIG welding processes, both machine and manual welding methods. Overlay deposits are of low dilution, are defect free, high density, and can be applied to substantial thickness. Large ODs, small IDs down to 1-1/2 inches and compound shapes are readily accepted. Coatings can be expected to exceed industry standards as to quality of deposition with the option for in-house dye-penetration testing to ascertain a solid quality weld free from cracks or porosity. Valve parts including cages, discs, backseats, seat rings, balls, stems, and guides. Weld overlay coated exchanger tubes and tube sheets. Although the majority of components are manufactured from new stock, the combination of technical experience and specialized processes are also increasingly being used for the refurbishment of worn high value parts. Bentham & Holroyd’s life extension services provide engineering analysis, recommendations and upgrades to both end users and subcontractors alike. In order to reliably provide parts that outlast those currently being used we have developed substantial insight into such problems, due to cross industry applications and many years’ experience.